China’s Tiangong-2 space laboratory arrived in its operational orbit after completing a pair of orbit-raising maneuvers following its successful launch on Thursday. The ‘Heavenly Palace’ is now awaiting the arrival of the Shenzhou-11 spacecraft with two crew members set for a month-long stay aboard the orbiting complex. 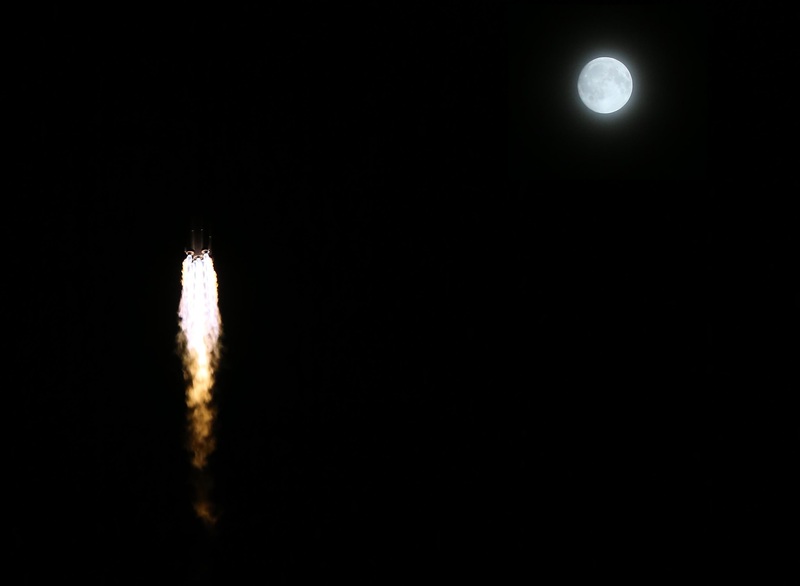 The 8,600-Kilogram space station module lifted off from the Jiuquan Satellite Launch Center in the Gobi Desert at 14:04 UTC on Thursday, riding atop a Long March 2F rocket. Heading south-east across China’s mainland, the 52-meter carrier rocket provided Tiangong-2 with a smooth nine-and-a-half-minute ride into Low Earth Orbit. Upon separation from the booster, Tiangong-2 immediately fired its low-thrust engines to pull away from the Long March 2F upper stage. The spacecraft then nulled attitude rates and successfully unfurled its two large solar arrays while still in communication with tracking ships deployed to the Pacific Ocean. With good health data coming from the Tiangong-2 spacecraft, mission controllers in Beijing declared the launch a full success. 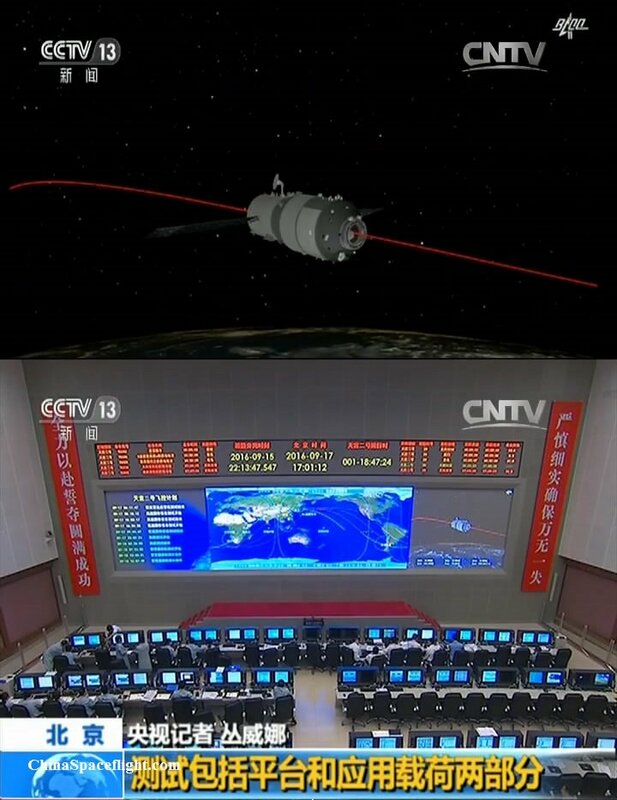 Orbital Tracking provided by the Joint Space Operations Center showed Tiangong-2 in an orbit of 197 by 333 Kilometers where it completed its first three laps around the planet ahead of firing up its two 490-Newton main engines for the first orbit-raising maneuver. 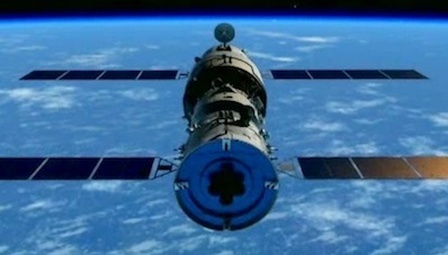 Tiangong’s first orbital maneuver took place at 18:45 UTC last Thursday and was followed by a circularization maneuver on Friday at 8:59 UTC with a duration of seven and a half minutes, accelerating the space laboratory by 52 meters per second. As of Tuesday, Tiangong-2 is orbiting the Earth at 370 by 379 Kilometers, at an inclination of 42.79 degrees. 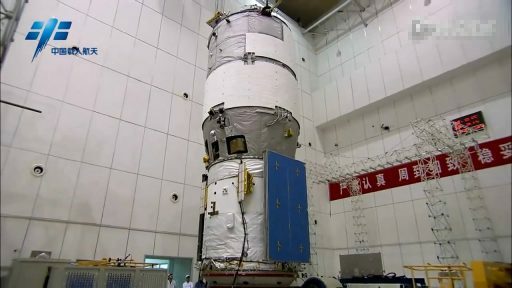 Fine-tuning maneuvers are expected to occur over the coming weeks to provide favorable phasing for the Shenzhou-11 rendezvous. 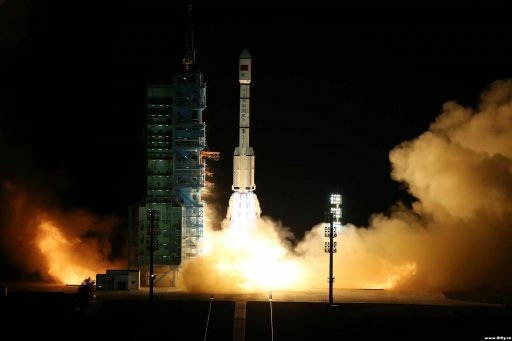 Over the weekend, Tiangong-2 continued working through a series of tests including high-speed communications through China’s geostationary data relay satellites. High-definition video downlink from the laboratory was demonstrated and some of the external and internal science payloads were powered up for checkouts. It was expected Tiangong-2 could initiate science activities with its tele-operated payloads later this week. Hosted by Tiangong-2 is a combination of internal payloads to be operated by the crew and external instruments that can be controlled from the ground to utilize the space lab as an orbital platform for Earth and Space research while no crew is on board. The external payloads on the Tiangong-2 space lab include a microwave altimeter for Earth surface and ocean monitoring, a wide-field imager for ocean and land surveys as well as a multispectral spectrometer for atmospheric science. Also pointed at Earth is a Quantum Communications System, further cementing China’s commitment to the exploration of this novel communications technology after launching the world’s first satellite hosting a quantum communications payload earlier this year. 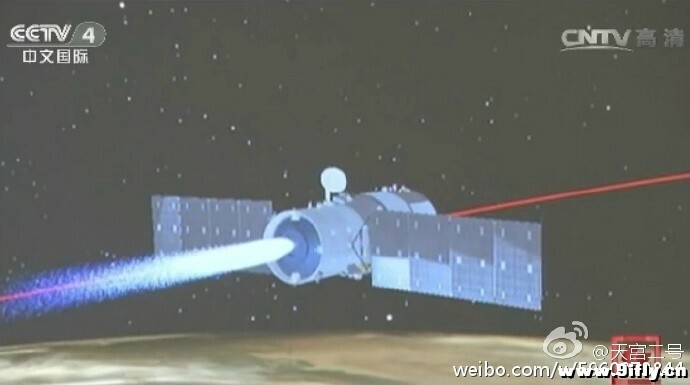 Tiangong-2 also hosts POLAR, a collaboration between China, Switzerland and Poland, to study the dynamics of Gamma-Ray Bursts. A fountain atomic clock tested in space for the first time on TG-2 is expected to be more precise than conventional space-based clocks which could be used for the improvement of space-based navigation systems. Tiangong-2 is accompanied by Banxing-2, a small satellite that will be released from the orbiting lab to capture high-resolution photos of the spacecraft in orbit. 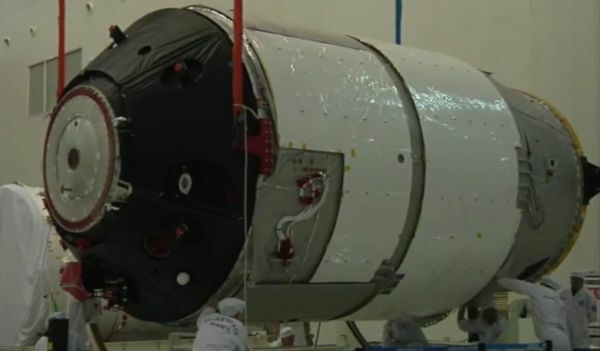 Meanwhile, at the Jiuquan launch base, work is in full swing to prepare for the planned October 17 liftoff of the Shenzhou-11 mission, China’s sixth crewed space flight. 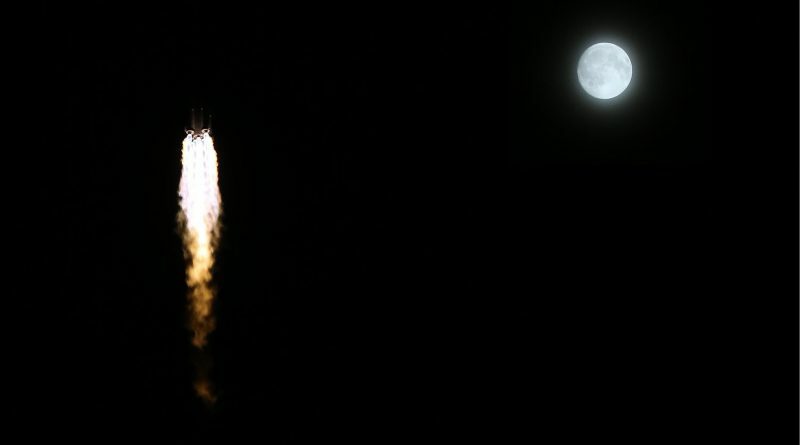 The launch vehicle and spacecraft have started their processing campaign some weeks ago and stacking of the rocket is expected to get underway shortly. Per the typical pattern, China has not yet identified the Shenzhou-11 crew members, but information has come forward that the mission will be completed by a two-man crew. Tiangong-2 was originally conceptualized to support a crew of three for 20 days, but the Shenzhou-11 mission was changed to a two-person crew, allowing resources to be stretched to a 30-day stay on the laboratory. After Shenzhou-11 departs in November, Tiangong-2 will remain in its operational orbit to wait for the arrival of the Tianzhou-1 resupply vehicle, currently expected around the April 2017 time frame. Tianzhou-1 is a critical demonstration mission to ensure China’s future modular space station can receive supplies from the ground. A prime goal of the flight will be the demonstration of fuel and water transfer to Tiangong – an essential part of future resupply flights. According to recent media reports, Tiangong-2 has an expected life time of over five years owed to its higher operational orbit and refueling capability. Even if the module is only visited by a single crew, its Earth and Space Observation instruments can be useful over a multi-year mission and an extended stay in the space environment will provide engineers welcome data to assess the longevity of some of Tiangong’s subsystems. 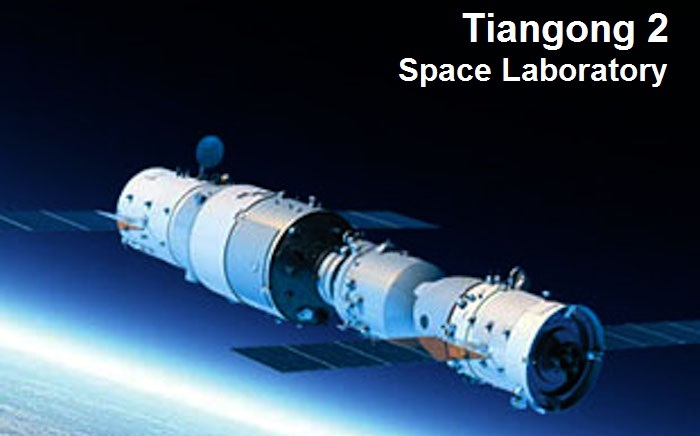 Tiangong-1, China’s first space laboratory, is currently found in an orbit of 359 by 381 Kilometers after ending a mission of four years in late 2015. According to reports, communications with the vehicle have ceased and its orbit will decay naturally, leading up to an uncontrolled, destructive re-entry in late 2017 – depending on atmospheric activity.